Did you know that trash collectors have very dangerous jobs? 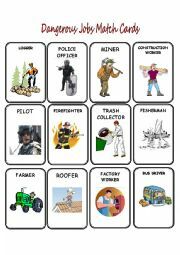 Here is a match card set for learning about other dangerous jobs. 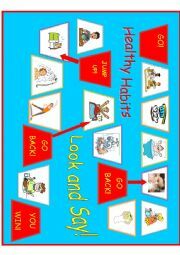 This is a board game to practice Healthy Habits vocabulary. 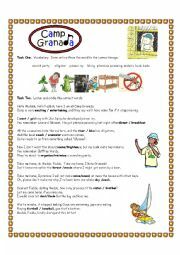 It�s for very young learners, so it�s just a "Look and Say" activity. 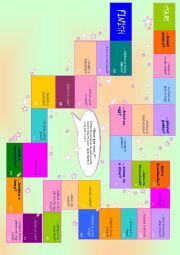 This is a board game to get students used to using the present perfect. It has some silly questions that are definitely not for adults. Roll the dice, advance and answer the question to keep the space. If you speak your native language, you go back to start. Thank you Eli for this beautiful template. 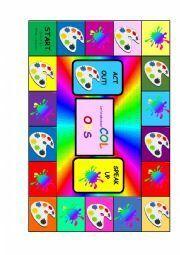 This is a board game for practicing color idioms. Set includes board game, 2 sets of playing cards, fake money and instructions. My students really loved this game. Hope yours do as well. 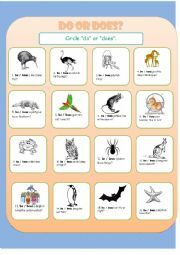 Practice DO and DOES with questions about animals. Three listening activities for the movie What Women Want. Key Included. 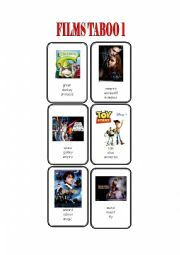 Film title taboo suitable for young learners. Sorry, the file was so heavy I had to split it in 4 parts. Part 4 will be uploaded tomorrow. Song activity for the Trolls Invitation Song. 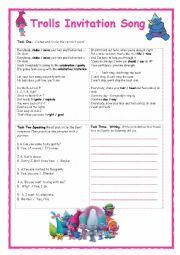 There is a listening activity and two follow-up activities for speaking and writing. There is a key with a link to the song. 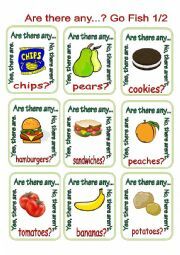 Go Fish game for practicing food vocabulary and the phrase ARE THERE ANY...? Instructions in set 2.